There is a revolution coming to Golf Channel and your TV set. No, this isn’t another story about Tiger’s comeback which is sure to play out all over the networks leading up to The Masters. This is about Revolution Golf being acquired by Golf Channel and what it means to you and the golf industry as a whole. For those who don’t know, Revolution Golf is the industry’s biggest direct-to-consumer digital platform. They have about 2 million subscribers for their instructional video series, travel information, shopping and other content. You can check it all out at their website revolutiongolf.com. 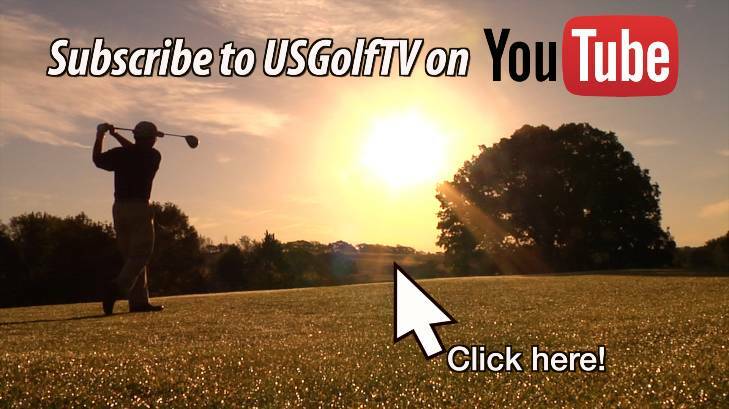 You’ll find tons of helpful golf instructional video from the leading teachers in the business. Although many of the videos are for members only, but there are free ones available for viewing to entice you to join. The Golf Channel likely needs no introduction for anyone with even a remote interest in the game. Maybe you check it out for early round PGA Tour highlights, David Feherty’s show or a quick lesson on how to save strokes around the green. Whatever you crave, Golf Channel is there 24 hours a day to feed your addiction. What you may not realize is Golf Channel is so much more than that. Within the past ten years, Golf Channel has created the largest engaged digital audience in all of golf. That will increase even more with the acquisition of Revolution Golf. Now The Golf Channel has come a long way in a relatively short time, first acquiring GolfNow and Golf Advisor to boost their digital lifestyle products and now with the purchase of Revolution Golf. This was always the plan, said Will McIntosh, the senior vice president of business and strategy for Golf Channel, in a recent interview. It’s a win-win for both companies. Revolution Golf will be able to enhance their content by having access to all of Golf Channel’s vast content and library of golf legends from Bobby Jones, the Big Three, Tiger and everyone in between. Golf Channel obtains another subscription-based business. Golf Channel wants to be the Amazon Prime of the golf world. Owning Revolution Golf is another step in that direction. As for the programming on Golf Channel, you may have already noticed some subtle changes. In fact, Cameron McCormick, the long-time swing coach for former world number one Jordan Spieth, has now become an official member of the Revolution Golf and Golf Channel team. McCormick will host his own instructional series on both Revolution Golf and Golf Channel. Another big coaching name to join the lineup is Sean Foley. Now Foley currently works with Olympic gold medalist and 2013 U.S. Open winner Justin Rose and previously worked with Tiger earlier this decade. So Golf Channel and Revolution Golf want to bring golfers of all skill levels together. And they want to do it with world-class teachers to improve their game and have more fun doing so. With Foley and McCormick coming in, Michael Breed, host of The Golf Fix on Golf Channel has moved on from the network. The partnership between Revolution Golf and Golf Channel won’t just benefit each other of course. The biggest winner in this deal will be you, the golf fan. Golf Channel wants to be your one and only home for all things golf related. Not just highlights from this week’s PGA Tour stop. But also instructional lessons, travel features and basically everything else golf related. One stop shopping at its finest. In the coming months expect to see a lot of Revolution Golf services and instructors on the Golf Channel airwaves. This revolution will definitely be televised. Previous post: What is a Golf Hook? Bring back Michael Breed. These RG guys are too technical, and I just turn off the program. I am really disappointed. I purchased a new Wilson Driver Cortex Driver/Driver through Revolution Golf after it won the Driver/Driver Competition. With less than 3 rounds of golf completed, the shaft broke! I contacted Revolution Golf for return instructions and requested their RMA (Return Merchandise Authorization), and have been getting the “Runaround ever since.. I only purchased the Driver through them because of their “So Called” , fabulous one year, no questions asked guarantee on the merchandise that they market. I notice that ever since, they don’t push that lenient return policy promotion any longer. Wilson won’t help me because their stated return policy requires it to be worked out with the Vendor. How many others might be having this kind of problem with Revolution Golf?